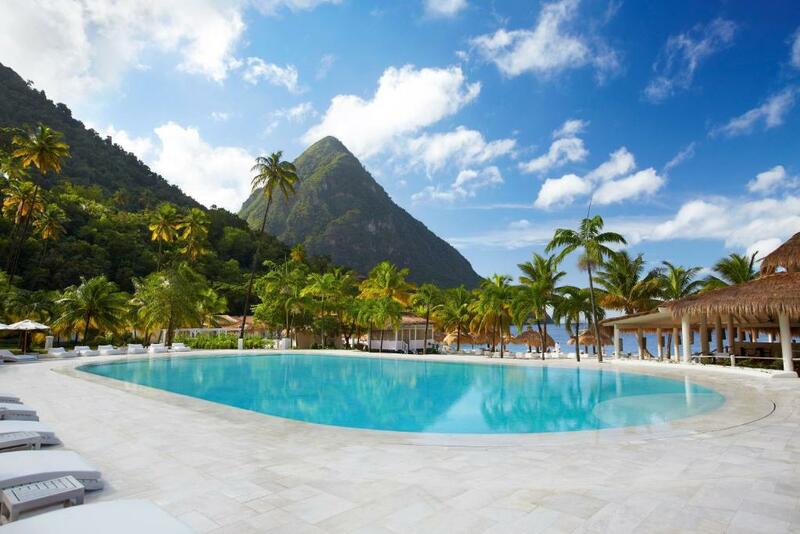 Lock in a great price for Sugar Beach, A Viceroy Resort – rated 9.4 by recent guests! 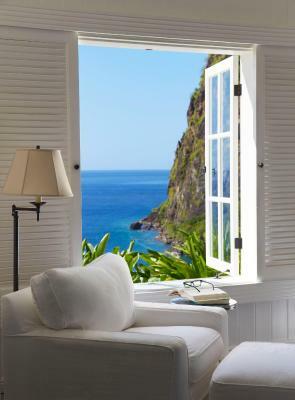 Incredible views from rooms, facilities, villas, comfort, awesome tennis courts, great not crowded beach, large spaces with limited amount of people. 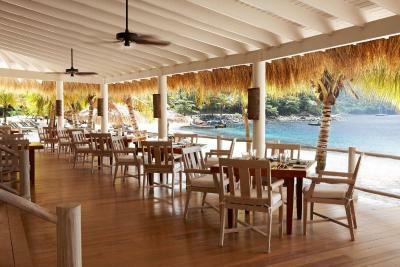 Great quality, delicious food - probably the beast we've had in the Caribbeans for log time. Beautiful resort with amazing staff. Butlers were great. I’ll definitely be staying here again. Beautiful property, excellent views, would return. Only down sides-wifi not fully reliable and be prepared to walk uphill or take shuttles. 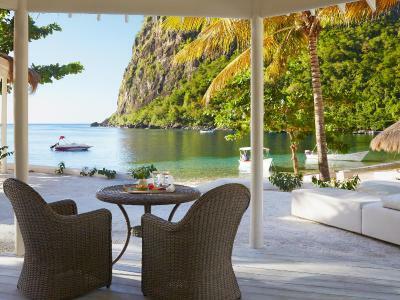 We had a wonderful stay at Sugar Beach - it was the perfect place for a girls weekend! 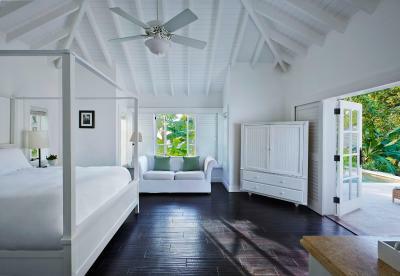 We stayed in the Sugar Mill rooms and they were perfect. Our butlers Michaela and Paul were outstanding. We also loved the beach - perfect for lounging and not too crowded - and had an wonderful visit to the spa. Outstanding location and staff. Our Butler Charles was a pure joy. He made sure we had all of activities organized and dinners set-up. He even decorated our Villa for my wife's birthday. It was an amazing vacation and adventure. Everything on the resort was amazing. 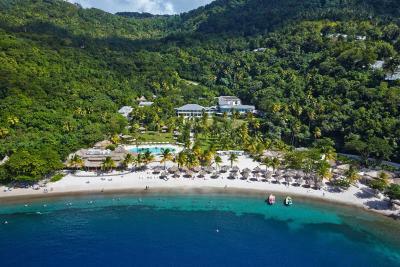 Amazing views, room, staff, food... the staff are sooo friendly and accommodating and tend to to our every need. 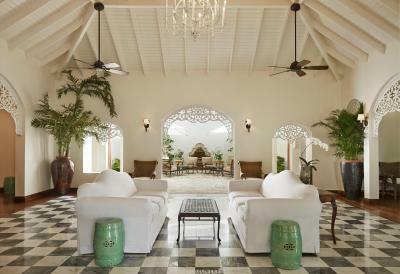 Our villa exceeded my expectations(2 bedroom/ocean view) and looked exactly like the pictures on your website. Charles, our butler, was amazing!! He made reservations for us all week, set up shuttles/tours, so that we didn't waste time on the phone. I will miss Charles! The Cane Bar Sushi restaurant was outstanding! The breakfast is awesome, so if you like breakfast, include this option in your reservation. My husband and I just spent our Honeymoon at Sugar Beach and I can’t express how much we loved it! 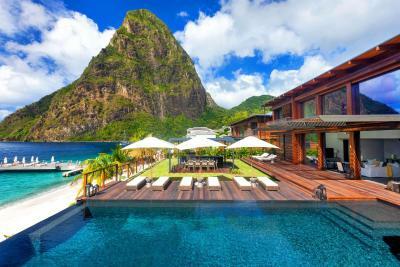 The hotel is beautiful, each room has their own pool and butler. Swamed was absolutely fantastic during all of our stay, doing everything he could to enhance our experience! Breakfast was excellent and dinner at the Great Room too. The Bayside restaurant is good, but nothing too special about it (besides the view for lunch). But we did go to their Friday night BBQ and we highly recommend! 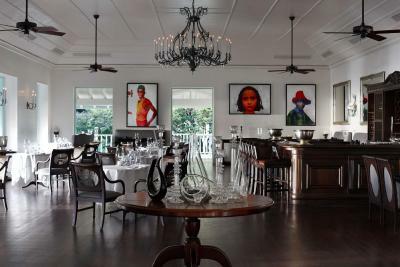 We did not chose the full board because we wanted to experience other restaurants in the island – and do note that food is expensive at Sugar Beach and other high end hotels. 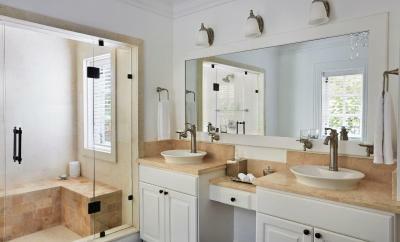 The bed was very comfortable and the spacious bathroom was a great plus! I would highly recommend this hotel! 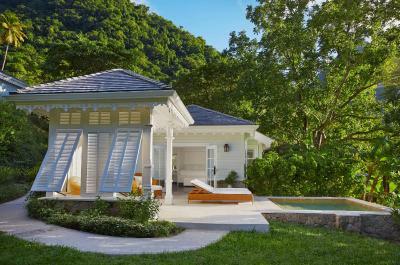 Sugar Beach, A Viceroy Resort This rating is a reflection of how the property compares to the industry standard when it comes to price, facilities and services available. It's based on a self-evaluation by the property. Use this rating to help choose your stay! 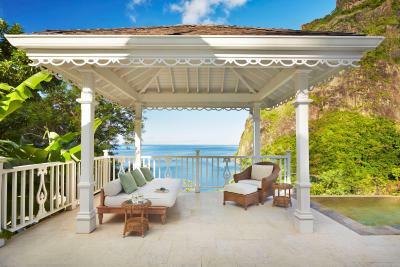 One of our top picks in Soufrière.Located in beautiful grounds overlooking Pitons Bay, Sugar Beach, A Viceroy Resort offers luxurious accommodations with views of the surrounding valley. 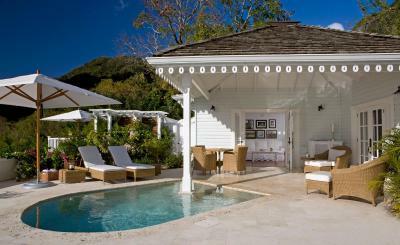 Set on Sugar Beach, it features a spa, outdoor pool and 3 restaurants. 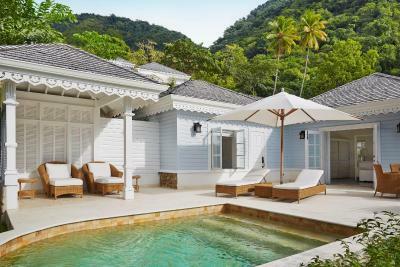 The Sugar Beach, A Viceroy Resort offers attractive rooms and villas with private plunge pools or swimming pools. All accommodations has a flat-screen TV, an iPod docking station, a coffee maker and a fridge. 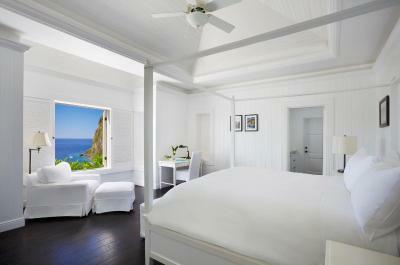 All rooms come with complimentary Piton beer, soda and water . 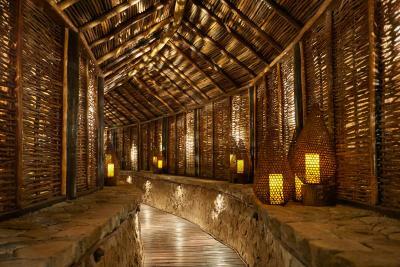 The on-site spa is set among the plantation’s lush gardens and next to a stream. 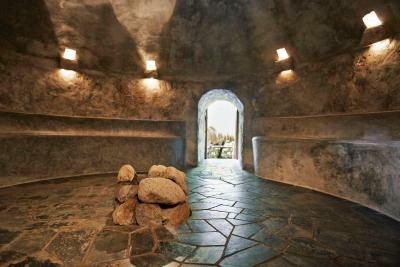 It features a hot tub and a Temazcal outdoor sauna. Treatments include wraps, massage and facials. 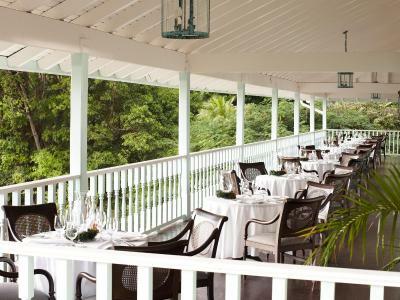 You can enjoy breakfast in the Terrace restaurant, while the stylish Great Room offers gourmet cuisine for dinner and the Bayside Restaurant serves St Lucian dishes throughout the day. 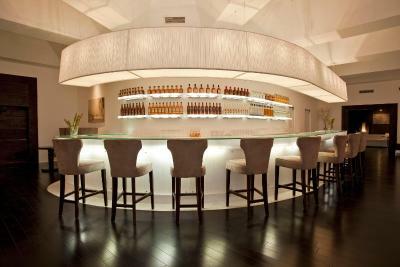 There are 3 chic bars, including a rum bar. Gros Piton and Petit Piton are within 1.9 mi of the resort. 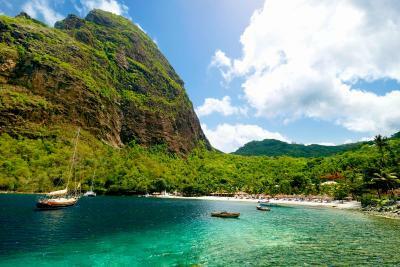 Soufriere is a 10-minute drive away, while Hewanorre Airport is less than 19 mi from the resort. 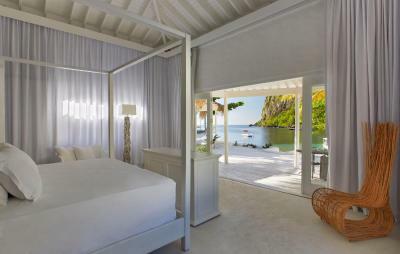 When would you like to stay at Sugar Beach, A Viceroy Resort? 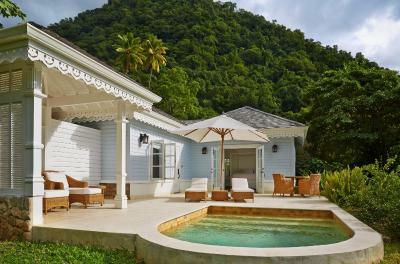 This luxurious room has attractive décor, a 4-poster bed and grounds with a plunge pool. There is a flat-screen TV, an iPod docking station, a coffee maker and a fridge. 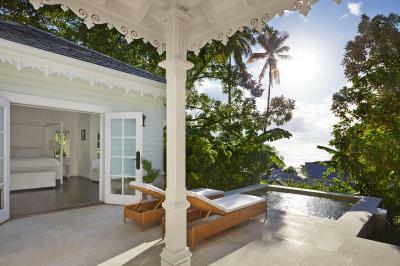 This luxurious room has a terrace with a plunge pool, attractive décor and a 4-poster bed. There is a flat-screen TV, an iPod docking station, a coffee maker and a fridge. 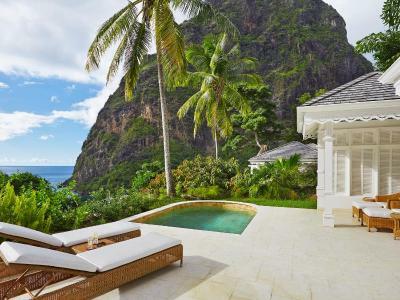 This luxurious villa has a private swimming pool and a terrace. 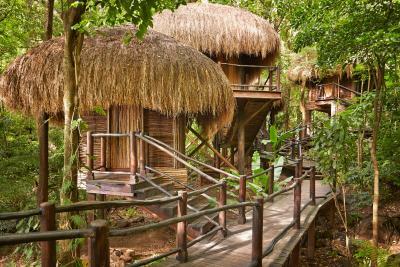 It has attractive décor, a sitting area and a bedroom with 4-poster king bed. There is a flat-screen TV, an iPod docking station, a coffee maker and a fridge. 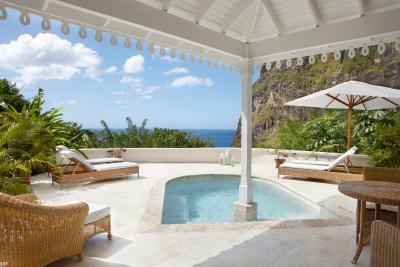 This luxurious villa features a private swimming pool and a terrace. 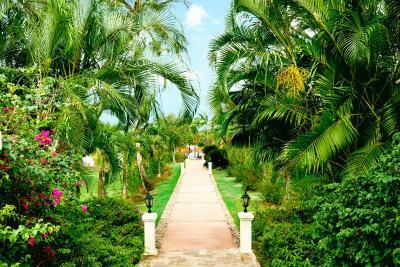 It has attractive décor, a sitting area with a sofa bed, and a bedroom with 4-poster king bed. There is a flat-screen TV, an iPod docking station, a coffee maker and a fridge. This is a larger villa. 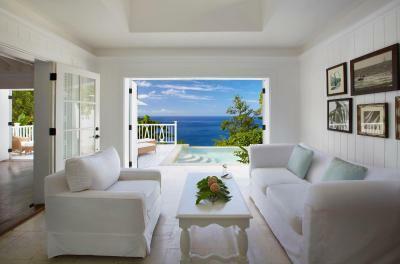 This villa features a balcony with ocean views, dining area and DVD player. 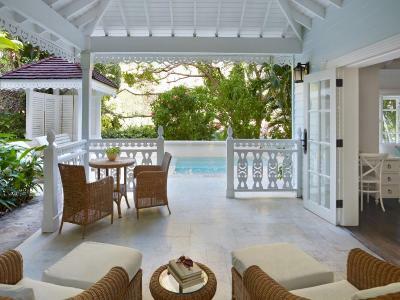 This villa has a balcony, dining area and tile/marble floor. 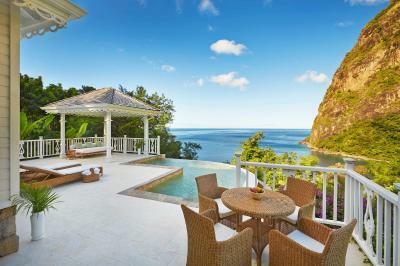 Two Bedroom Villa - Ocean view. 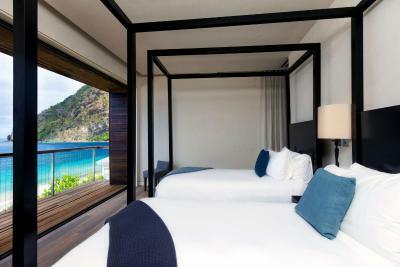 This quadruple room has a balcony, mini-bar and iPod dock. This quadruple room features a balcony, tile/marble floor and DVD player. This family room has a balcony, satellite TV and patio. This triple room features a private entrance, seating area and patio. This quadruple room has a bathrobe, sofa and iPad. This family room features a stovetop, DVD player and dining area. This quadruple room features a balcony, DVD player and seating area. This family room features a stovetop, private entrance and patio. 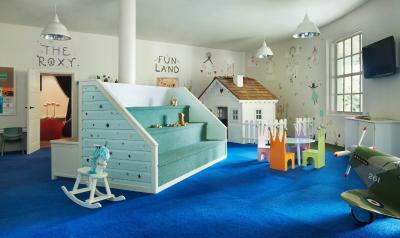 This family room has a mini-bar, iPod dock and sofa. 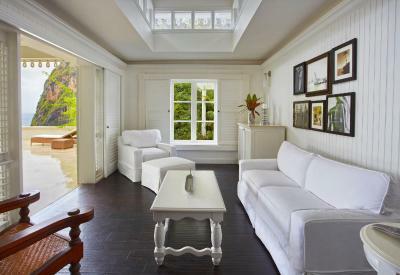 This family room features a mini-bar, stovetop and seating area. This family room has a DVD player, patio and stovetop. This double room has a balcony, bathrobe and DVD player. This holiday home has a private entrance, CD player and patio. 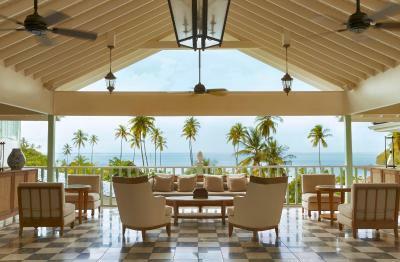 House Rules Sugar Beach, A Viceroy Resort takes special requests – add in the next step! 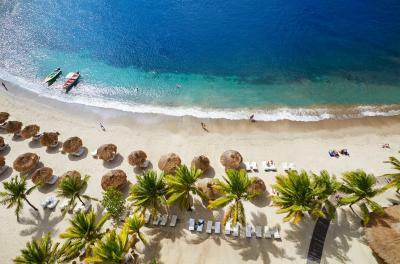 Sugar Beach, A Viceroy Resort accepts these cards and reserves the right to temporarily hold an amount prior to arrival. 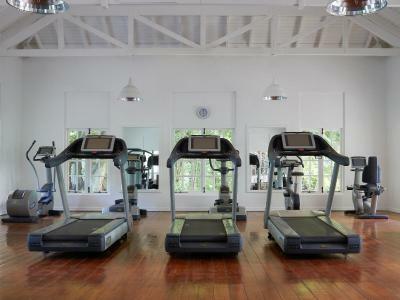 A three night room and tax/service deposit is taking at time of booking. The remaining balance will be charged prior to arrival.